Home Buying Guides Best Chromebooks under 250 $: 5 inexpensive Chromebooks to pick from! Chromebooks are a great alternative to traditional low-priced laptops. CHromebooks use the Chrome OS instead of Windows 10 or macOS. These machines are designed to be used while connected to the internet. Offering a simple and stripped-down experience, Google’s Chrome OS is extremely easy to use. 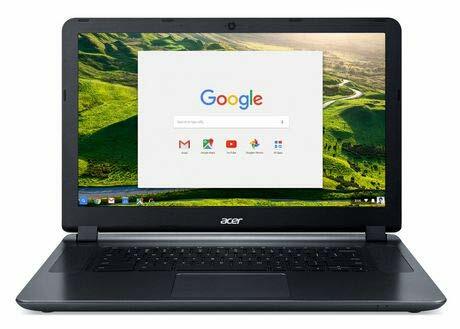 In addition to that, Chromebooks are usually priced on the more affordable end of the spectrum, which explains there growing popularity recently, especially among students. But as with traditional laptops, there are a number of things to pay attention to when buying a new Chromebook. How to choose the right Chromebook for your needs? Set your budget: For most people, the price range is always an important factor when buying any device. But since most Chromebooks are priced on the low side of the spectrum, this isn’t a big issue. However, not all Chromebooks are equal, and spending a few more dollars on your next purchase can make a huge difference in the quality and features. Once you set a budget, you can look for best Chromebooks in that price range. Intended use of the Chromebook: Chromebooks and budget laptops can look the same, but they are actually very different. When buying a new laptop, you should always ask yourself what you will be using it for. And this question is even more important if you’re going to purchase a Chromebook, because Chromebooks run a different operating System, and there features are still limited compared to laptops. In general, Chromebooks are great for people who only need a “minimalist” device for web browsing, sending emails, watching videos, and typing. And thus, they are great for students, senior users, and writers. 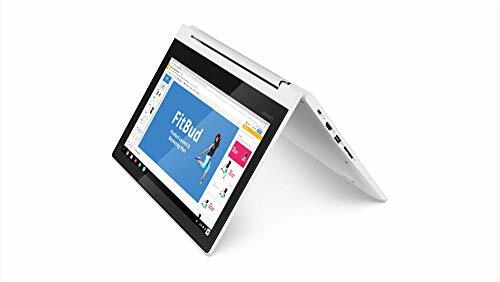 However, if you need a device for more advanced use, like programming, designing, or video editing, then you would definitely need a traditional laptop. Form Factor: Chromebooks are usually designed to be small in size, and very lightweight. A lot of Chromebooks have a 360° hinge, and can be used as a laptop or a tablet. Some Chromebooks also have detachable keyboards. How Chromebooks are different from traditional Windows Laptops? Since the Chrome OS is an extremely lightweight system; there is no need for a powerful processor in order to run the device. For cost reasons, most manufacturers use ARM based processors for Chromebooks. ARM processors are designed to be power efficient and cost way less than Intel or AMD processors found in regular laptops. On the other hand Windows laptop and Macs need much more advanced processors to run smoothly without lagging. However, this doesn’t mean that Chromebooks are limited devices. There are a lot of Chromebooks that use Intel processors. One of the main advantages of Chromebooks is there battery life. You can usually expect a battery life of 10-12 hours from Chromebooks, which is not always the case with Windows laptops. The Chromebooks battery life is again a result of low-impact OS and the fact that there are no battery-hungry components in a Chromebook. The storage is one of the things you should pay attention to when buying a Chromebooks. Most Chromebooks have a limited internal storage capacity, and for cheap Chrombooks, you’ll be dealing with a 16GB or 32GB hard drive. This may seem very small when compared to regular laptops. But all Chromebooks come with 100GB of Cloud Storage, since they are mainly designed to be constantly connected to the internet. The Lenovo Chromebook C330 comes in a sleek, stylish design. 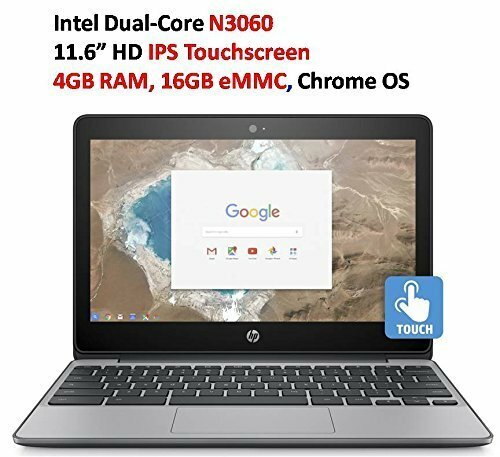 At this price range, it’s hard to find another Chromebooks that has the same features as the C330. It comes with a MediaTek MT8173C Processor, 4GB of RAM, and a 64 GB eMMC storage. And while most Chromebooks at this price range usually suffer from poor display quality, the Lenovo C330 stands out with its excellent IPS screen. The C330 sports a 11,6 inch display, at 1366X768 resolution. The C330 is definitely one the best Chromebooks under 300$ you can buy right now. In terms of build quality, the C330 comes in sturdy plastic chassis, and the keyboard is nice and not too stiff. 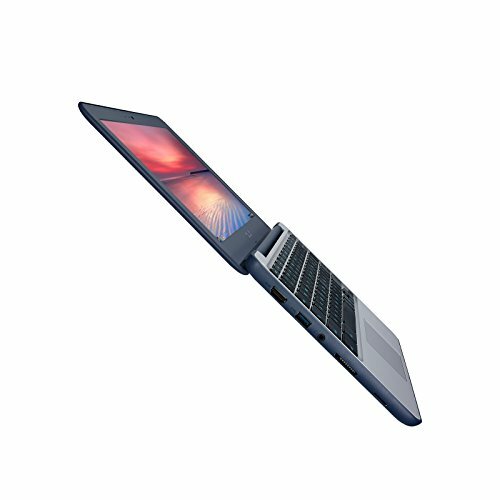 The Asus Chromebook C202SA is made of durable chassis and is capable of surviving a fall. Though it may appear small, it feels solid and durable thanks to the rubber reinforced edges which help to secure all of the critical components and reduce the impact of any accidents that may occur. The C202 comes with an Intel Celeron N3060 processor, 4GB of RAM, and 16GB of flash storage. The keyboard of this Chromebook is rated as one of the best ever. The keys have 2:1 millimeters of travel and need a force of 60 grams to press. The typing experience on the device is extremely comfortable and smooth. 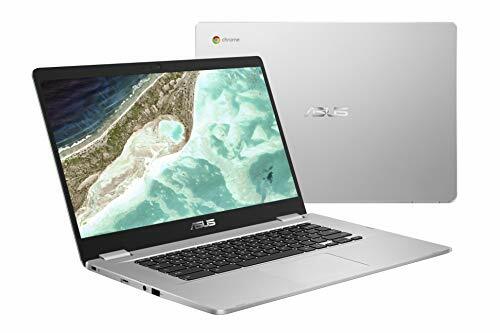 With a 15.6 inch HD NanoEdge display, the Asus Chromebook C523 is a great choice if you’re looking for a Chromebook that looks and feels like a traditional laptop, and offers great value for the money. This Chromebook comes with an Intel Celeron 3350 Processor, 4GB of RAM, and a 32GB flash storage. A great ad-on feature is the accessibility to Google’s Play store. The build quality is simply awesome considering the price range. The Asus C523 comes in a premium looking brushed aluminum chassis, and the island style keyboard makes typing very smooth. The Acer Chromebook 15 is a perfect option if you’re looking for a cheap chromebook with a large display. This chromebook has an Intel Celeron 3060 processor, 4GB of RAM, and 16GB of storage. The 15,6 inch display is one of the biggest selling points of this Chromebook. And although the screen is not Full HD, the quality is still great, and you can use this device for web browsing, youtube or watching movies. The Acer Chromebook 15 also offers 2 USB 3.0 ports, and 1 hdmi port. If you’re looking for a basic laptop for kids, then the HP 11-V025WM chromebook can do the job. This Chromebooks comes with Intel Celeron 3060 Processor, 4GB of RAM and a 16GB eMMC storage. The co-molded rubber edges protect the device against bumps and bruises. The HD IPS display offers crisp and clear images, for a great media experience. Battery life is also great, and HP claims around 12 hours of use from a full charge. However, this Chromebook doesn’t have access to the Google store and you can’t use it to run android apps. The era of Chromebooks is definitely here to stay for a long time. With improvements being done with each newer model, these devices are becoming everyone’s most loved one. The introduction of more and more Android apps is only adding to its already increasing popularity among the users. If you are looking out for simple and effective devices to get online then Chromebook is indeed the right choice for you! Previous articleBest Chromebooks with backlit keyboard: 5 Chromebooks with Backlit Keyboards!